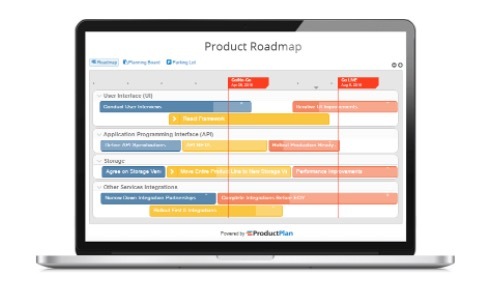 ProductPlan is the easiest way to plan, visualize, and communicate your product strategy. Help your stakeholders to see the big picture by integrating ProductPlan roadmaps with Pivotal Tracker projects. You can now easily tie project details to the high-level strategy. Save time by easily drilling down to Pivotal Tracker stories directly from your roadmaps. Automatically synchronize completion status of epics and stories in Pivotal Tracker with your roadmaps. Create and share live roadmaps with just a few clicks. Import your Pivotal Tracker epics or stories straight into ProductPlan. Refine your strategy by prioritizing in the Planning Board. Tie project details to high-level strategy. Present a compelling picture with beautiful roadmaps. Connect stories from Pivotal Tracker with ProductPlan Bars or Containers. Link to Pivotal Tracker stories directly from ProductPlan. Track progress on your roadmaps. Communicate the progress of your initiatives visually. Synchronize your ProductPlan roadmaps with completion status from Pivotal Tracker. Automatically calculate progress by either stories delivered or story points. Learn more about ProductPlan and check them out on Product Hunt.